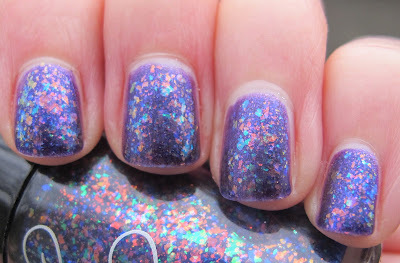 Never Enough Nails: First Post of 2012- Cult Nails Clairvoyant over OPI Grape... Set... Match! 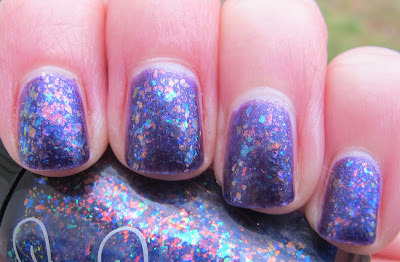 First Post of 2012- Cult Nails Clairvoyant over OPI Grape... Set... Match! I wanted to do something special for my first post of 2012. This combination definitely qualifies. Unfortunately, my pictures do not qualify as special, as the sky was so overcast and gross when I took these pictures on New Year's Eve day. I absolutely suggest you try this combination so you can see how amazing it really looks. I started out with two coats of OPI Grape... Set... Match. The OPI and Serena Williams duos were some of my favorite polishes of 2011 and Grape... Set... Match is so gorgeous on it's own. However, I really wanted to try out Cult Nails Clairvoyant too! I wanted to really pack the flakies on, so I did three coats of Cult Nails Clairvoyant. I haven't mattified anything in awhile, and this felt right, so I added one coat of KnockOut Cosmetics Flatte Top. I personally LOVE matte flakies. They never get old!! Since 2012 is shaping up to be The Year Of The Flakies, I thought this was an appropriate start to the year. 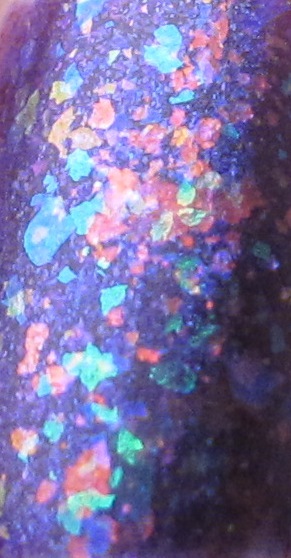 Cult Nails Clairvoyant is a really awesome flakie polish, I love that it has all different color flakes in it. I actually picked it up from my girl Styrch's blogsale, but it is still available on Cult Nails. My local Ulta also still had the Serena Williams duo with Servin' Up Sparkle and Grape... Set... Match just about a week ago. What are your nail polish hopes and dreams for 2012? Mine are the same as last year. More duochromes and holos. OPI Grape... Set... Match was sent to me for review by a PR agent for OPI. For more information, please read my Disclosure Policy. Nice combination! Clairvoyant seems to get along well with lots of different colors. 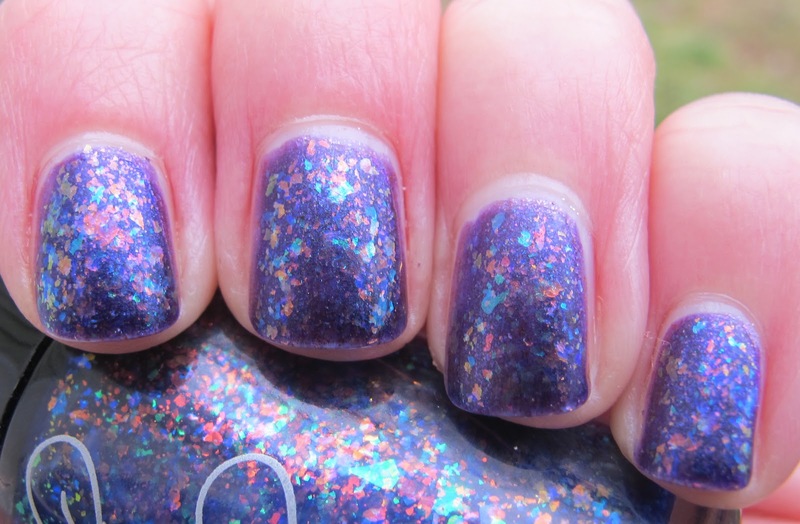 KarenD- I definitely think Clairvoyant would look great with almost any color! Shiny and matte both as well!